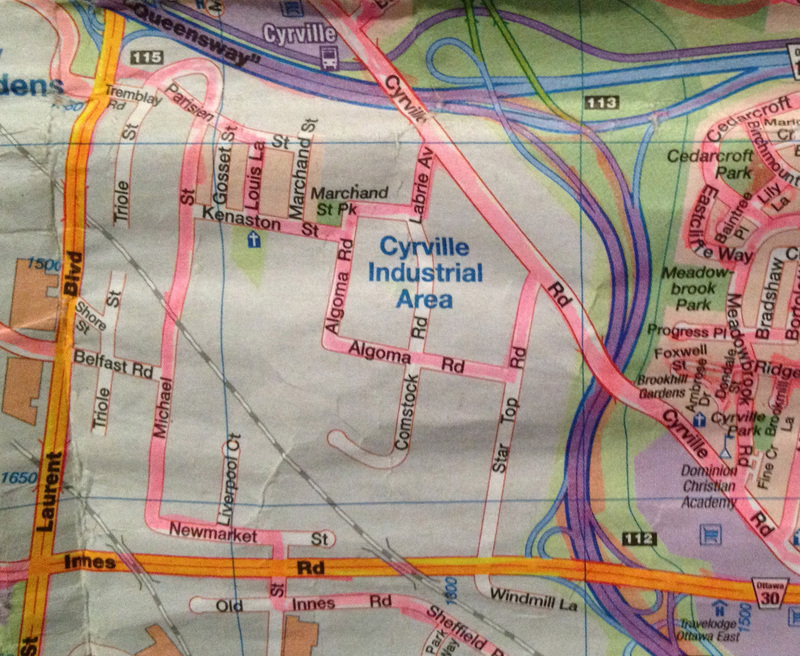 Decided to cover streets in the Cyrville Industrial Area, right where the Queensway and highway 417 meet. It’s a quirky place. A small residential area mixed in with light and heavy industries. Many of the houses on the periphery of the residential area have been converted to commercial use. This new house caught my attention for its seeming confidence of place, regardless of the industrial complexes surrounding it. 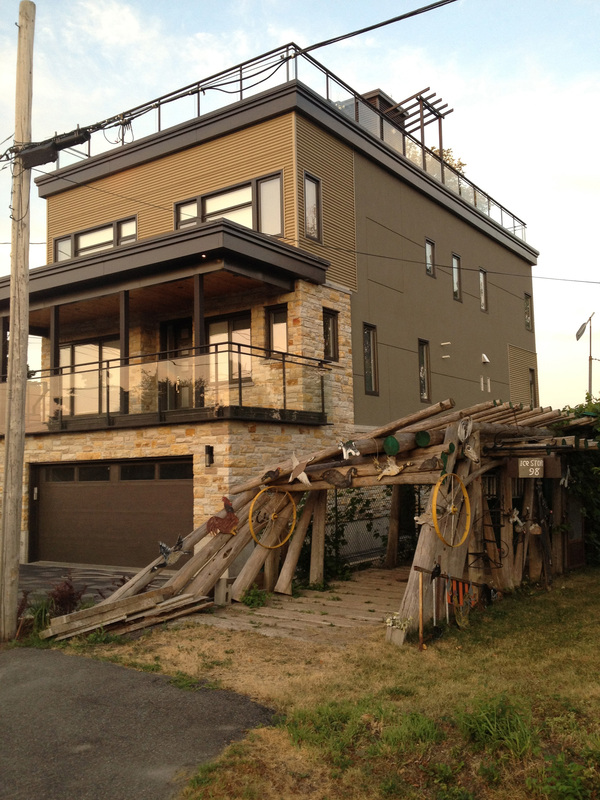 I love how it is juxtaposed with the log structure off to the side whose sign reads ICE STORM 98. Most likely a tenacious victim of that incredible event. I’m guessing this was once a residential area before being converted to an industrial zone. I noticed a church in the distance, usually a sign of an established community, so I went to take a look. It’s the Portugese parish of Senhor Santo Cristo, and it looked like these parishioners were getting ready to celebrate! A little research suggested they were preparing for the procession of Senhor Santo Cristo dos Milagres, best described in this post. Took Cyrville road over to the other side of the 417 which is more residential, even with the Telesat headquarters and dishes looming above. To get to the other side of the Queensway you can walk your bike over this OC Transpo pedestrian bridge. Arriving home I was greeted by these two morning glories on either side of the front door.